Pakistan intelligence agencies on Tuesday (19 December) put out an alert that major parks could be targeted by suicide bombers over Christmas in Lahore, capital of Punjab province – where the largest population of Christians resides. 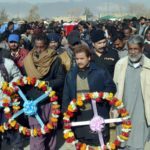 On Sunday (17 December), two suicide bombers attacked Bethel Memorial Methodist Church in the restive area of Quetta, leaving 11 worshippers dead and more than 50 injured. According to the local newspaper ‘Pakistan Today’, the Pakistani Counter Terrorism Department (CTD) force said it acted in time to foil a “Christmas plot” “after it said that two terrorists were killed in a gunfight in Multan” last night (21 December). In another incident, 40 kilometres from Multan, according to local TV channel 92 News, three alleged terrorists were arrested near a church in Muzaffargarh. They were reported to be planning to target the church and were in possession of three hand grenades. According to the local Urdu newspaper, Jang, the provincial government in Punjab has now suspended all Christmas programmed that were going to be held in the Arts Council in the district of Faisalabad, 150km from Lahore. Pakistan introduced the Punjab Security of Vulnerable Establishment Ordinance in 2015 to impose security measures on worship places, including church buildings, prompted after the Army Public School in Peshawar was attacked. 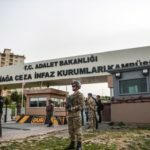 The Ordinance says “that a committee, constituted under the law, will inspect vulnerable establishments on a quarterly basis and issue an “advice, in writing, to the manager of a vulnerable establishment for such security arrangements as may be necessary on the basis of threat perception”. The definition of “vulnerable establishment” does not precisely define when a worship place becomes “a vulnerable establishment”. It is quite possible that, if only a few people meet somewhere, the police may ask them to install heavy security equipment. And most small churches have been unable to meet those requirements. 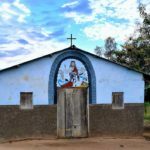 In February, two pastors were even arrested for holding church services without putting security measures in place. 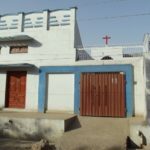 Daycare Church Pastor Kamran Shafqat from Rahim Yar Khan told World Watch Monitor that, in February, the police asked him to come to the police station to discuss security matters. 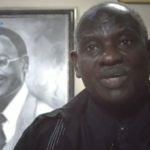 “When I reached there, the police head told me to hand over my belongings as I was arrested for not putting church security measures in place,” he said. After one night, Shafqat was transferred to jail, from where he was released on bail on the third day. In December, a judge dismissed the case after Shafqat informed him that all security measures had now been put in place, and the state was not pursuing the case. 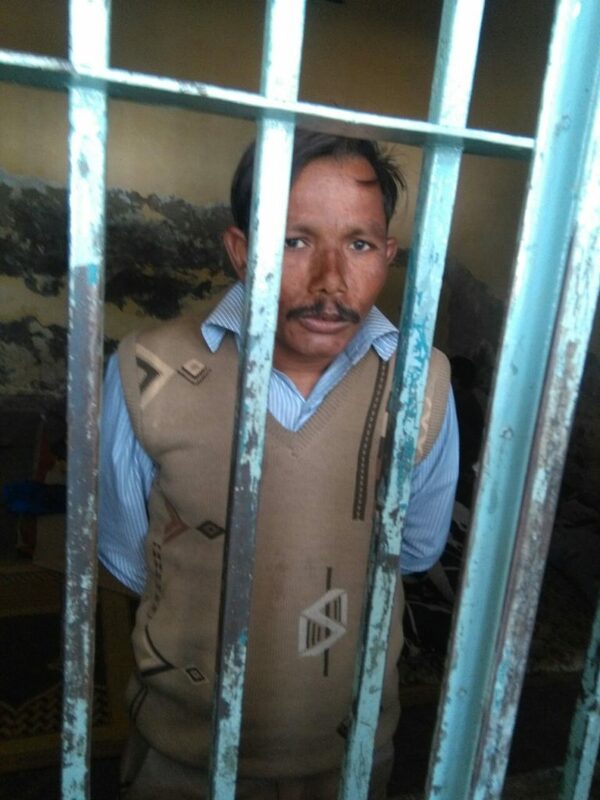 In another instance, Glory Church Pastor Kashif Aziz from Bahawalpur was arrested on 19 February. The court within a week decided that he must pay a fine of 50,000 rupees (roughly $500) or face six months’ imprisonment. The pastor paid the fine. He said that he hadn’t been informed about the Punjab Ordinance, and that the case against him was lodged without his knowledge. 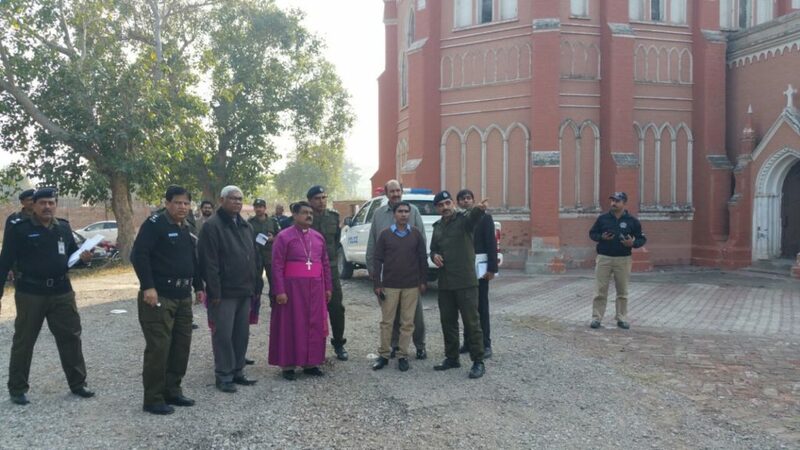 Bishop of Multan, Leo Paul, told World Watch Monitor that it is ironic that Pakistani churches are under a security threat, and they are to put in place security as well. Yet if they fail to do so, their leaders are jailed and face trial. He himself has had a visit from the Committee set up under the Punjab Ordnance. On 19 June, 2014, the then-Chief Justice of Pakistan had announced a landmark judgment that required the government to take seven steps to improve the lives of religious minorities. One of these was to establish a special police force to protect their worship places. So far, no such force has been created. Rather, locals say the Punjab provincial government has ‘tricked’ the clergy, to avoid implementing the Supreme Court’s order. The Punjab Human Rights and Minority Affairs Minister Khalil Tahir Sandhu co-ordinated a meeting of the Christian clergy with the Chief Minister of Punjab, Shahbaz Sharif. Based on that meeting, Punjab Chief Secretary Khizar Hayat Gondal later told the Supreme Court “there was no need of raising another force for this purpose”. He also told the court that the clergy generally agreed with the law and order situation, and that the protection of worship places “was quite satisfactory in the Punjab, and reasonable security was being provided”. The chief secretary also told the Supreme Court that the Punjab chief minister had ordered that “sufficient deployment for the security of places of worship” was ensured. However, the Bishop of Peshawar, Peters Humphrey, told World Watch Monitor that law enforcement agencies are not providing sufficient security. He said that the 17 December attack exposed the fact that, if police had been sufficiently deployed, then church volunteer security guards would not have died. “A [third] pastor from Dera Ismail Khan was arrested for not putting in place security measures. What is the use of the Supreme Court’s orders, if the church is going to bear the responsibility for security arrangements?” he said. About 2 per cent of the total population of Pakistan is Christian. So far terrorist attacks have particularly taken place against the beleaguered Christian minority in Pakistan.